From little faces to tiny gears, 3D printers have produced some pretty small objects, but the teensiest are yet to come. A team at the Vienna University of Technology has devised a technique that takes 3D printing to a whole new level, the molecular level. This breakthrough opens the doors to amazing potential in creating live tissues and cell-sized microchips. While the experiments are mostly testing proof-of-concept, early indications are promising. The researchers at Vienna, not new to radical 3D printing, are working off of the same mechanism by which actual cells form tissue: chemical bonds. Simply placing molecules wherever they want isn’t so easy, so molecules are coaxed into place, and what’s better to coax with than lasers? The process, dubbed 3D Photografting, involves creating a scaffold from macromolecules; the scaffold is a hydrogel, and the holes in its meshwork are big enough for molecules and cells to move into. Handpicked molecules are brought into the hydrogel by shooting a laser at specific points in the gel, which breaks weak photochemical bonds, attracting the molecules to fill the reactive void. This requires an incredibly precise laser, and the one at Vienna can reach a resolution of 4 whopping micrometers. Put that on a frickin shark! Ideally, this technology will be used to create skin tissues for grafting, and then more complex structures like capillaries for vascular systems. Hopefully it will also enable us to breathe underwater. I may be a little optimistic here, but that’s only because the same technology is expected to be able to produce microscopic electronics, like sensors and transmitters. Essentially chemical nanobots, these incredismall feats of engineering could constantly monitor blood levels, and even adjust them on the fly. Accident and burn victims, and people with conditions like diabetes, anemia, and high blood pressure could all benefit from this. 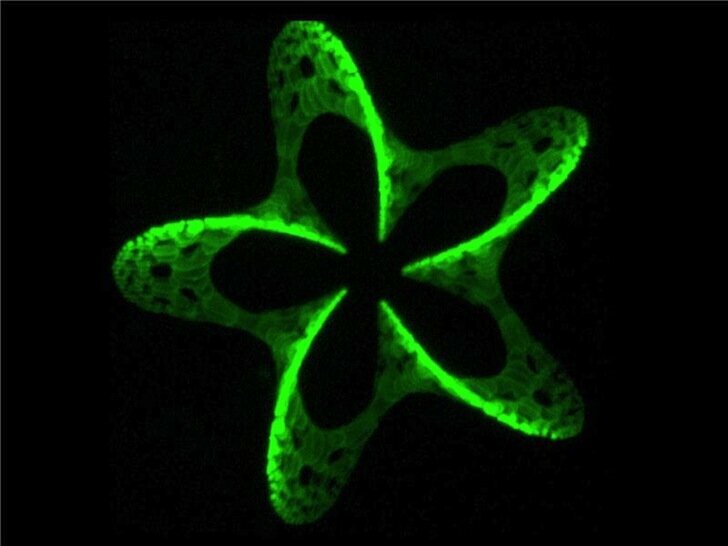 There are many possibilities for this very novel form of 3D printing, and I WILL be holding my breath for gills.